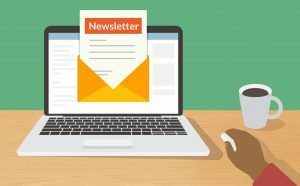 Newsletter is a great tool for marketers and publications to engage with their current customers and even attract new potential subscribers. By definition, newsletter is information or report that is delivered regularly by email to employees and subscribers. But with so many emails, and spam messages, that people tend to get every single day, it’s important to make your newsletters stand out from the rest and avoid them from getting unsubscribed. Listed below are several tips on how to make great newsletters that will catch the subscriber’s attention. When people scroll down their inbox page, the first thing that they will see is subject line. Create titles that are going to grab their attention, avoid using generic ones such as “Our Newsletter for this Month” and instead take an interesting topic from the newsletter and use it as the subject, such as “Beauty blogger Z shares her favorite lipstick products.” Also, make the subject as short as possible and avoid using slang words and acronyms because that will come across as unprofessional. The golden rule of newsletters is less is more, divide your newsletters into sections to make them look more organized and don’t put an entire article or lengthy information into the newsletters. Publish the article on your official website and include the article link in the newsletter along with the title and a maybe a short paragraph describing what the article is about, with this strategy you can also help boost the website’s traffic. Human beings are visual beings. Pictures, design and graphics are processed faster and remembered longer by humans than just a plain text. Include some photos or interesting graphics in the newsletter to make them attractive, however that doesn’t mean that you are going to stuff them all with only pictures because that could be marked as a spam email and will go directly into the spam folder. Another thing, your newsletter design is also equally important. Make one simple design template and stick to it every time you send out a newsletter, a consistent design helps readers to identify your brand. Always be consistent with the time to send the newsletters, the frequency can be varied from daily, biweekly or monthly but choose one and stick to it. By having a regular schedule, your subscribers know exactly when to expect an email from you and it also gives you a timeline on when to finish creating the next newsletter. Here’s another tip, the more frequent your newsletter is, the shorter the content should be because no one likes to read a lengthy email every day. As an effort to attract new subscribers and maintain the existing ones, giving incentives is a great way to do it. They don’t have to be big or pricey, a small discount or free samples will do just fine. By doing this, they will more likely to stay loyal to your company and maybe even ask their peers to subscribe to your newsletters.